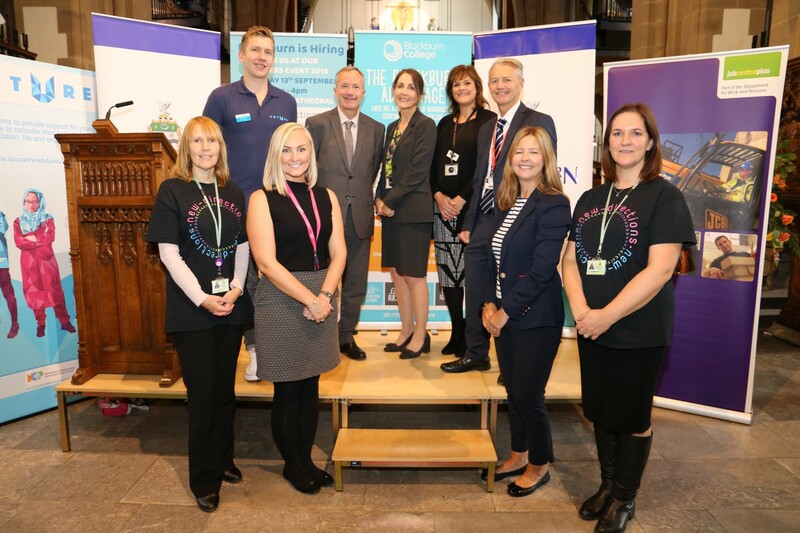 Called Blackburn with Darwen is Hiring, the event took place at Blackburn Cathedral on Thursday, September 13. The morning session was attended by school pupils, age 15 upwards, and the afternoon sessions were open to everyone, from further and higher education students and those not currently engaged in employment, education or training. The event was also open to adults who may be actively seeking employment or who are looking to update their skills or searching for a new opportunity. Along with a large number of employers representing a variety of sectors, post 16 learning and training providers were present, with 95 exhibitors in total. A number of workshops were held, with the National Careers Service looking at apprentice myths, Cummins Mellor holding a session on interview skills and the Council talking about working for the organisation. The event was organised in partnership with Blackburn with Darwen Council through the New Directions team, Blackburn College, Cummins Mellor and the National Careers Service. This was a great opportunity for people looking for a new career to make contact with a big range of jobs, companies, training and education and start planning for their future. It was also a great opportunity to celebrate the industry, training and business we have in the borough and the surrounding area.